Ready for the day with all the possible answers to the questions that you can face in the upcoming business. Interview preparation is a serious matter and even you practice, prepare and rehearse hundred times, there can be time when face an interview question you have no idea to answer. Whether it is an unexpected question or a technical question about something you have never heard of before, can leave you stumped and a bit shaken up. 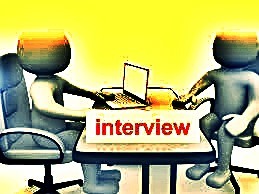 The next thing you realize is that you have lost your confidence and the remaining part of the interview is a mess. So, what do you do when you are in a situation like this? Try any one of these methods for a smoother interview process. Start with acknowledging the question and tell the recruiter that you are thinking about it. You can say something like “Great question, let me ponder over it for a while.” This way you steal some time to think about an approach you can use to answer the question. This is important especially in an interview where silence means awkwardness. To avoid the awkward silence, you will have to fill up empty airspace with words. Take your time to think and speak nothing that makes you look stumped with the question. As an active job seeker you now know that hiring managers do not want the right answer to their every question. What they want to sense is your ability to think through the problems. So once you have taken a minute or so to compile your thoughts, try explaining what you have been thinking and where they take you next. A lot of times you might face questions that you really cannot work through. What should you do then? Own up and try redirecting it to the area you are familiar with. You might not be able to speak about a certain skill they are looking for but even if you are able to connect something similar, you are better than saying nothing at all. Understanding the scenario through an example. Suppose the position you are interviewing for requires you to have digital marketing experience and you are asked about it in the interview. You simple do not have this experience. In this case, you can turn your answer towards your experience in print marketing or social media community management or your personal blog. This might not be the exact thing they are looking for. But this is definitely better than just simply saying nothing at all. And, of course there are chances where thinking, thinking aloud and redirecting would not work. Questions that ask for concepts or definitions just cannot be worked on the spot. For such a question it is necessary to research about it well in advance. Well in a case where you have no idea about the concept asked, depend on the research that you have made about the company, industry and the position. You can do your best to prepare for an interview but if you face a question like this, do not lose your nerve. Think, strategize and then answer. You have something to learn from your every interview experience. Regardless of the question you face, you are going to learn from every question that the hiring manager puts up to you. You might not have the right answer but if you have the ability to sense what the employer wants to judge with the question, you can surely give him/her that and you have done well.